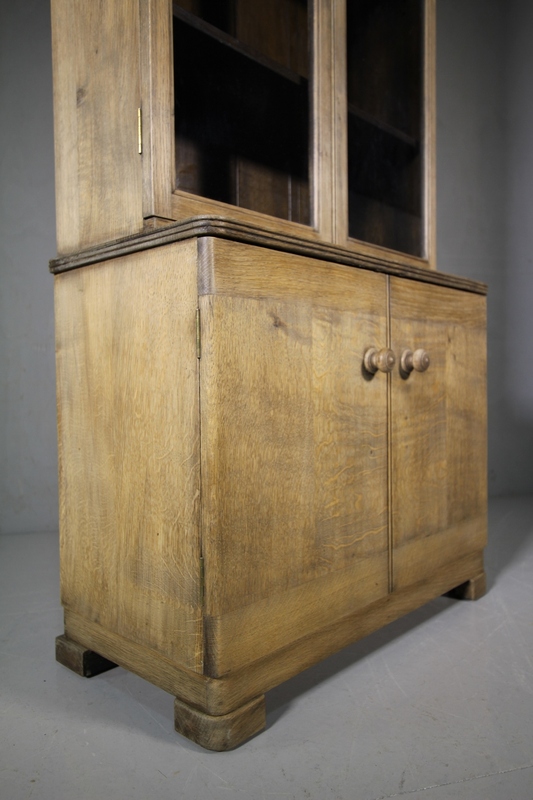 A well proportioned, English oak bookcase by Heals of London in the thirties. 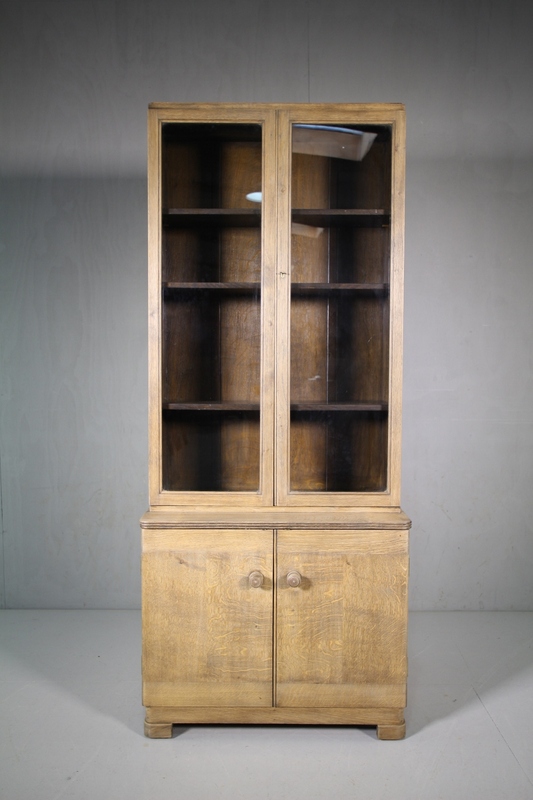 The top section of the bookcase has two clear glazed doors, inside are three ajustable shelves. 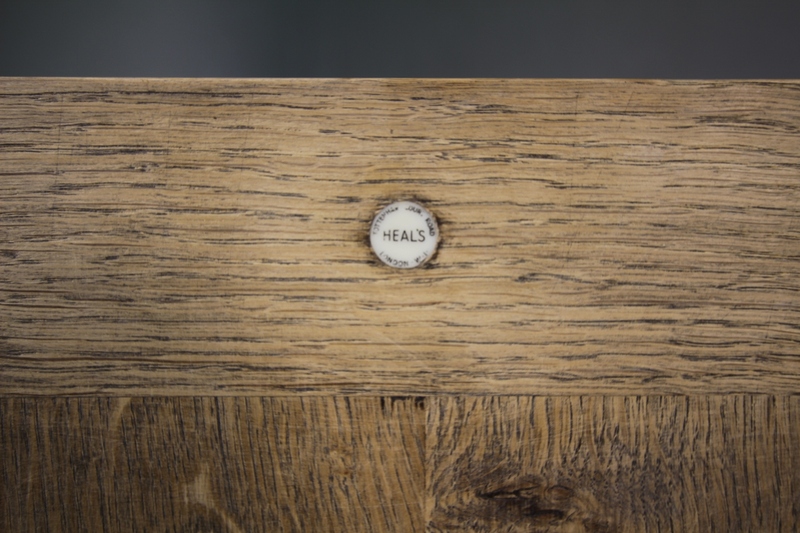 In the lower section, there are two solid oak doors, one having the Heals button label inset into it. 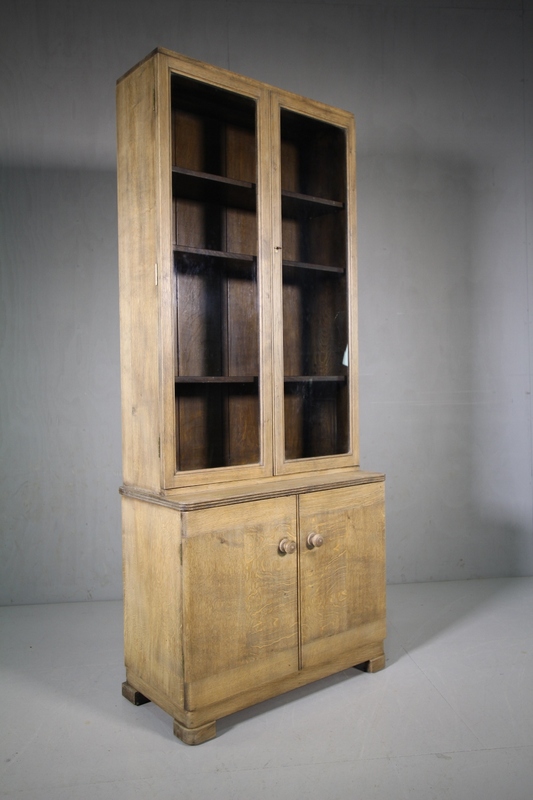 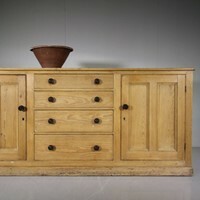 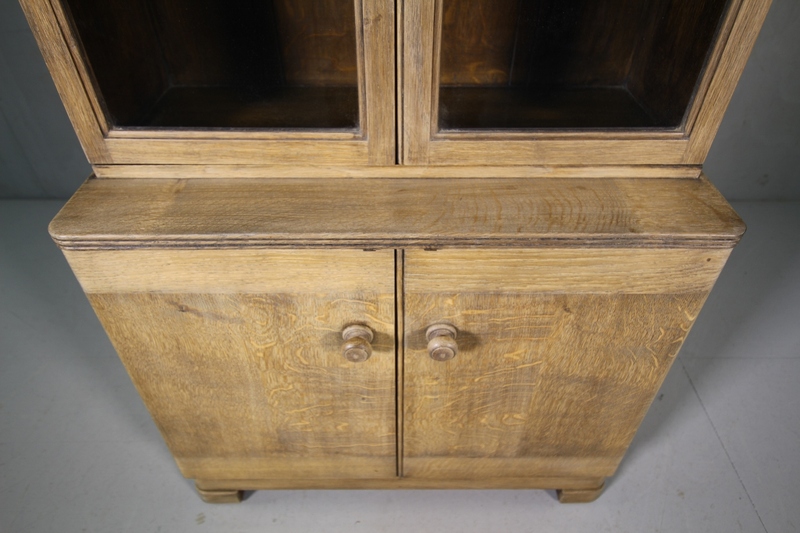 In very good, clean condition and the bookcase doors have all correct, the period handles.